No stress WP themes-do they exist? Are free WordPress themes worth the angst? WordPress is an amazingly popular platform for building blogs and websites. There are 1,000’s of themes to choose from and many of them are free as well. Unfortunately, many of those freebies can cause permanent hair loss, heart complications, and general irritation of the spleen. But the question remains; do no stress WordPress themes exist? Spoiler alert: yes, no, it depends. 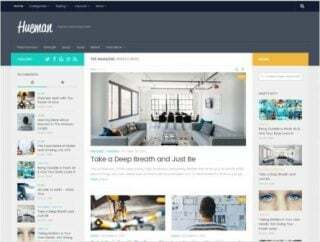 Yes, no-stress WP themes exist; this site was built using an entirely free theme. The problem is you can spend many hours looking for your ideal theme. We’ve all been there; you download and install a new theme but then you realise it can’t do everything you need it to do. Sometimes it’s simply that a particular feature is only available in the premium version. Or maybe there’s a conflict with a favourite plugin. Or perhaps you just have no control over fonts or colours without editing the theme itself. In reality, the term stress-free cannot truly be applied to any aspect of modern life let alone the challenge of building a website. As soon as you start to optimise your site for speed or add complex functionality you increase the number of potential problems. But the answer does also depend on what you want your website to do. So, when you’re looking for a great free and stress-free WP theme it pays to draw up a list of things you truly must have on your site as well as a wish-list of desirable functions. What do no stress WordPress themes look like? Why am I writing this blog? Frankly, I enjoy the challenge of achieving quality results without spending big dollars. And for many people the cost of paying an annual subscription for a premium theme that you may or may not even really like is too much. This is especially true for small business owners and bloggers who cannot afford the $10,000 or $20,000 or more that some web designers charge to build a website. So, what do you look for when you’re hunting those elusive no stress WordPress themes? We’re talking about setting up a site on WordPress.org where you can have full control of how your site looks and feels, and not the .com version. You can preview most themes from your WP dashboard. You can add filters for those functions that made it onto your must-have and desirable lists. This is where the fun begins. Install a selection of themes and begin previewing them. You can also preview them on the wp repository site or the specific theme’s website. Coded by knowledgeable developers. Anyone can offer a theme on WP and there are themes out there that are slow, break easily or contain nasty bugs. Fast. Speed is critical; if your site loading time is too slow people will click off and Google also may penalise your site. Unless you’re an expert you may not be able to tell how well coded a theme is but there are some signs. Look at the reviews and check out how many times it’s been downloaded. Also notice how often is the theme updated? Is it compatible with the latest WP version? The good news is that some of the really reputable companies produce free themes that are really special. Mobile phones are now the source of more than 50% of search queries. If your site isn’t mobile friendly those potential customers or readers are going to go elsewhere. You can test your chosen theme at Varvy and gain some real insights into whether any issues can be easily fixed or whether a particular theme is a dead duck. With attention spans on the net getting shorter and shorter a fast-loading speed is increasingly important for your website. Poorly coded themes will slow down your site but so do other things such as plug-ins and poorly optimised images. But you can start narrowing down your list of themes by checking out their speediness. You can do this with those trusted speed testing tools such as Pingdom and GTMetrix. 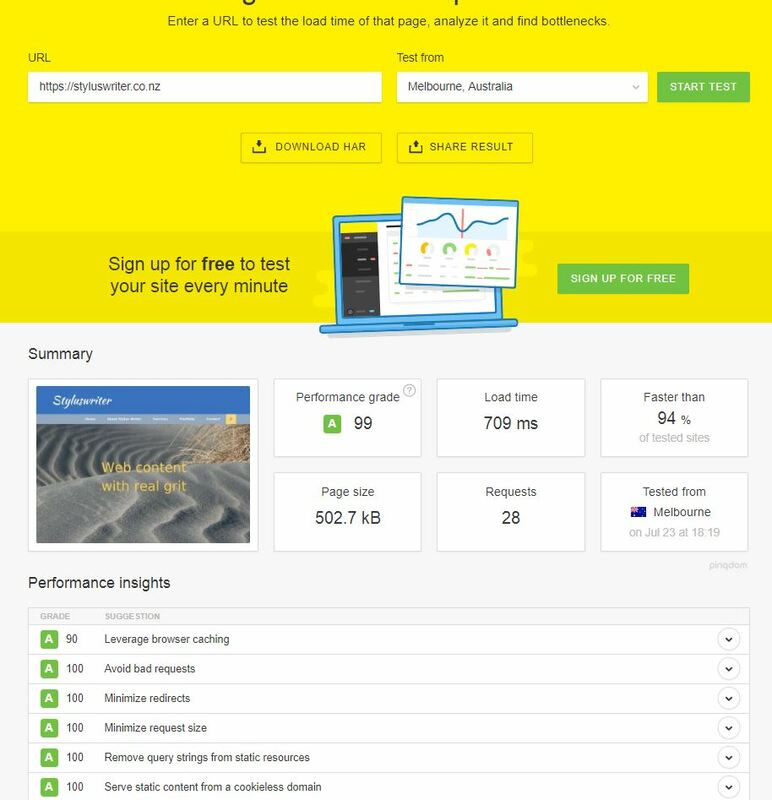 Varvy also have an option for testing the loading speed of your website. 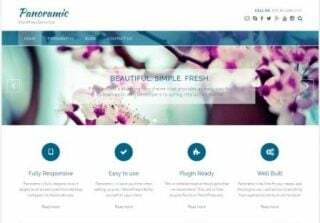 Do you really want a brilliant free WordPress theme? I must point out that I am not affiliated with the makers of the following themes in any way. I receive no payments of any kind for these recommendations. They are simply a record of my own personal experience and I’m sharing them with you so you can avoid some of the more common frustrations. I am also not an expert coder and I accept no responsibility or liability if you have difficulties with any of these themes or if the world ends before you finish reading this article. 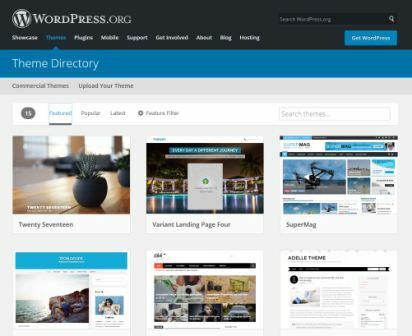 However, I found these no stress WordPress themes a pleasure to use. These sites are not ranked in any particular order because I think they all offer great features and quality at that low, low free price. And I found them all to be very easy to work with. For me there were no hidden surprises or impossible hurdles. They did what I wanted them to do and they did it with no loss of speed, function or elegance. They were literally no stress WordPress themes. The CSS customiser provides additional customisation options too. I also found the support forum very active and extremely helpful. Mesmerize is a great theme for entertainment, food & drink, and portfolio type sites. It’s responsive so it’s great for your mobile customers and it’s also WooCommerce ready. The Panoramic theme is a deceptively simple theme meaning that it hides a great deal of functionality and performance under an unassuming guise. Font and colour control are limited in many free themes but Panoramic offers a fine degree of control here. SiteOrigin widgets and Page Builder works perfectly with the Panoramic theme to boost your customisation options. Panoramic integrates WP Forms and WooCommerce functions so you’re business site is ready to go. Illdy is fully responsive and mobile friendly. It’s a great choice for business, portfolio or creative type websites. And it’s one page layout works perfectly for landing pages. Most of the popular free WP plugins are fully compatible with Illdy and that’s an important aspect of all no stress WordPress themes. You can enjoy the Font Awesome icons and the detailed documentation makes putting it all together very straightforward. Illdy is retina ready and is optimised for SEO. The full-screen Hero image and unlimited theme colour options will really capture viewers’ eyeballs. And support is available for free. 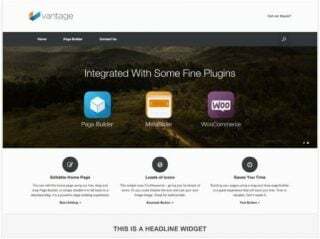 Vantage is a SiteOrigin theme that has been very popular for many years with more than 90,000 downloads. And naturally it integrates perfectly with SiteOrigin Page Builder and widgets. Vantage is responsive and retina ready–this is critical for any website that wants to be mobile friendly. Vantage offers a degree of customisation that is not often available on freemiums. This design flexibility includes page layout, font choice, sizing and colours, and a choice of slider or Hero images. You can make the header sticky and you can even hide the page title on your pages–very few free versions allow you to do this. 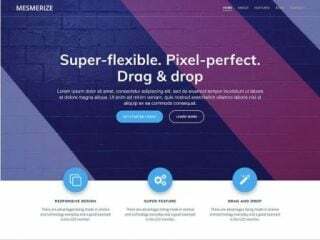 Zerif Lite is a one-page theme that wins enormous kudos for being mobile and retina ready. The exciting full-screen parallax images make for a powerful business, creative or personal website. Zerif Lite features full WooCommerce support. And with more than 100,000 downloads it has to be doing something right. There you have it; 6 marvellous free WP themes that won’t break the bank or stress you out. It’s not a comprehensive list. There are many other great free WP themes out there but this list should help you get started. Yes, it’s true that no free version will be perfect but you can still have massive headaches with premium versions too. If you don’t believe me check out the theme forums. That’s why people pay megabucks for web designers to design the perfect website (if such a thing exists). 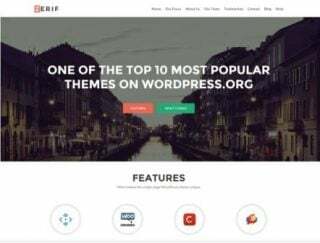 In my view, the themes above are the closest you can get to finding perfect no stress WordPress themes that don’t cost a cent. I hope you enjoy building your free website.